A change of hands in December 2011 saw The Sardelis family, headed by husband wife team George and Aristea take the reins and create Dark Horse on the Brit. In October 2015 we witnessed the expansion and renovation of the former 62 set café to a 150 seat café/restaurant. A dedication to good service, great food and exceptional coffee, the team at “Horse” as its known by its regular clientele are a vibrant and playfully attentive, community focused group. 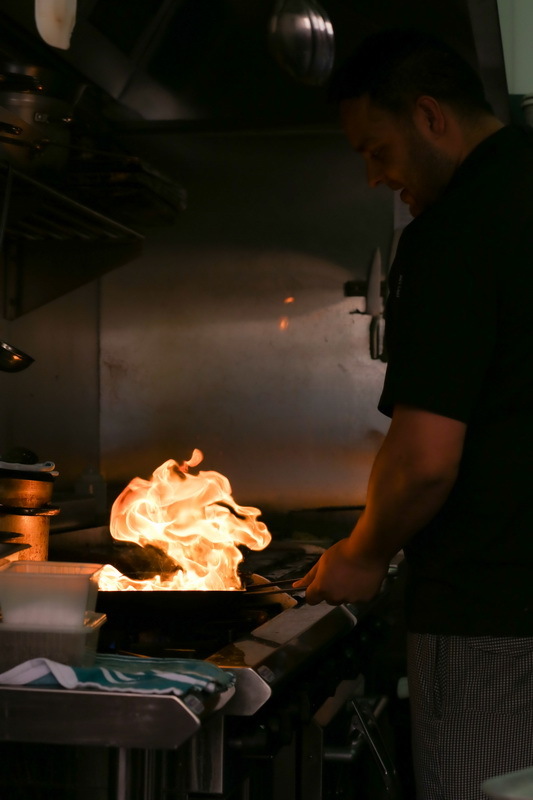 Bringing both youth and experience and a wealth of diversity in flavour from cultural backgrounds, our chefs delivery a combination of modern Australian with bursts and snaps of India and Italy. Mandeepsingh “Mandy” Ghotra born in Kullarpur, India, completed his apprenticeship at Elwood Beach House. The 27 year old brings a youthful and experimental innovation to the team. Keep an eye out when dining, the difference in cultures and age cant even be noticed when you see the mischevious team in action.